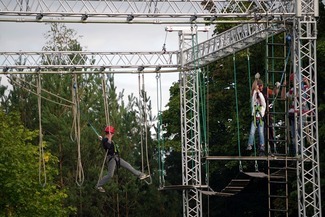 Our adult soccer league has reserved the High Ropes Course for a family fun event. Bring your family for a morning of high climbing fun! Children ten years and older can participate.